German Language Course - Your bridge to Germany! MSE provides German Language courses for all levels. We prioritize to small groups of students, demands for excellency by providing an intensive teaching and having committed teachers. Registration for German Language Course A1 and B1 at Mercator UKM-Bangi classes are open now. Get your application form by contacting Mercator Office UKM. Note: The schedule is tentative. 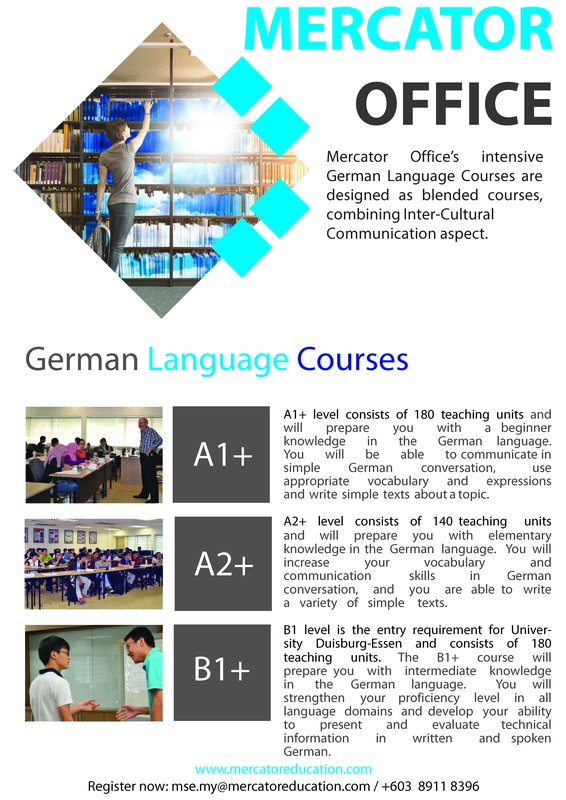 Registration for German Language Course A1 – B1 at Mercator UI classes are open now. Get your application form by contacting Mercator Office UI.